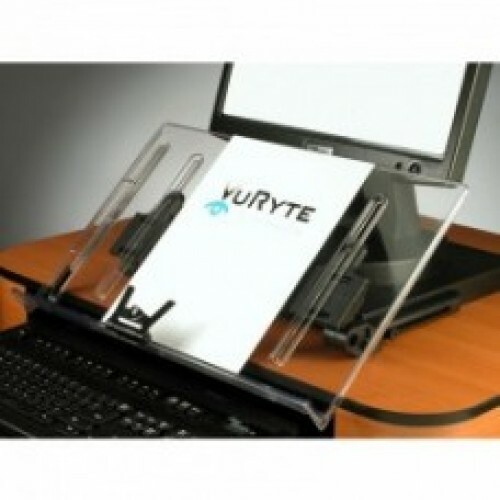 VuRyte Vision Vu Document Holder & Monitor Riser 18in. Ergonomic In-line document holder adjusts four ways: Depth, vertical, horizontal & angle. Easel is 18" wide clear acrylic. Attached to VuRyser base . Raises monitor height 1".